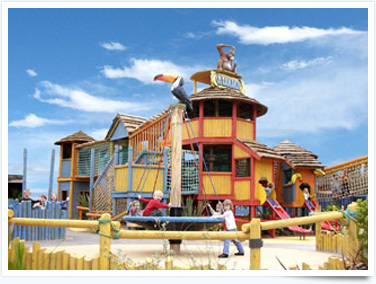 All of our Pontins Holiday Parks, including Camber Sands, are close to a variety of local attractions. Whether you are looking for a day-out with the kids, or looking to brush up on some history our Holiday Parks offer you a great ‘jumping point’ to explore the surrounding area. 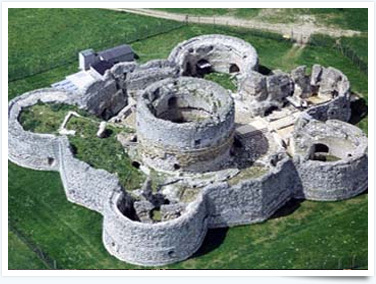 Camber Castle is situated between the town of Rye and the coastline and dates back to the Tudors, as Henry VIII used the castle as one of his device forts. The castle has undergone restoration and conservation works to maintain its glorious image, and stands bold in its surroundings, making it a magnificent attraction to explore, discover and admire. The Rye Heritage Centre and Information Centre provides an ideal introduction to the town bringing together the story of Rye set within the famous Rye Town Model sound and light show. Historic and Ghost Audio Walking Tours are available for hire, with guided ghost tours available on selected dates during the winter months. 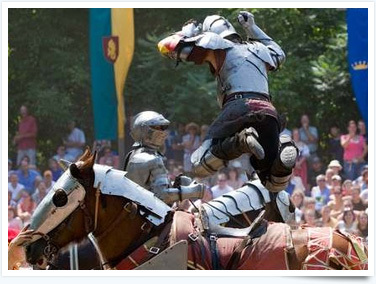 Held annually since 1992 over the three days of August Bank Holiday Weekend, England’s Medieval Festival at Herstmonceux Castle is Britain’s most magnificant celebration of the Middle Ages. Activities and Entertainment for All: twice daily Battles, Longbow and Crossbow Competition, Puppeteers, Jesters, Strolling Minstrels, Europe’s largest Medieval Traders’ Row, fabulous Craft Stalls, Living History Encampments, Kids’ Kingdom, Hog Roast, Music, Colour and Dance. Widely known as the best small zoo in Europe, Drusillas Park offers a fun-tastic, unforgettable day out. Get ready to go wild as you come face to face with hundreds of exotic animals, explore the large adventure play areas and take a spin on the roar-some children’s rides; including the African-themed attraction, Go Safari! Fancy an adrenalin fix? 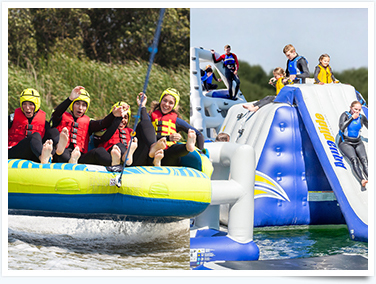 Action Watersports has an amazing Inflatable Aqua Park, along with: Water-skiing, Wakeboarding, Jet Skiing, Flyboarding, SUP’s and Fun Rides. Everyone welcome with all equipment supplied. As a British Water-ski Accredited Water-ski School and RYA Centre you can be assured of a safe, controlled and fun environment, on a private freshwater lake just 10 minutes from Camber. A fascinating Reserve and worth a visit whether you want to discover its wildlife and habitats, explore its history, or simply enjoy the landscape and enjoy a walk beside the sea. 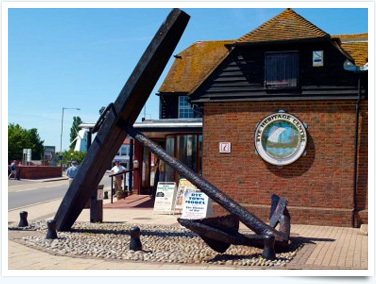 A museum in two venues giving you the oppurtunity to see and learn all about the town of Rye. The Ypres Tower is a sight to see! A great place to stop for a bite, with a small seating area where they serve tea, coffee and cupcakes in the beautiful surroundings of a flower shop. A week long celebration to commemorate the anniversary of the Battle of Hastings on 14 October 1066.